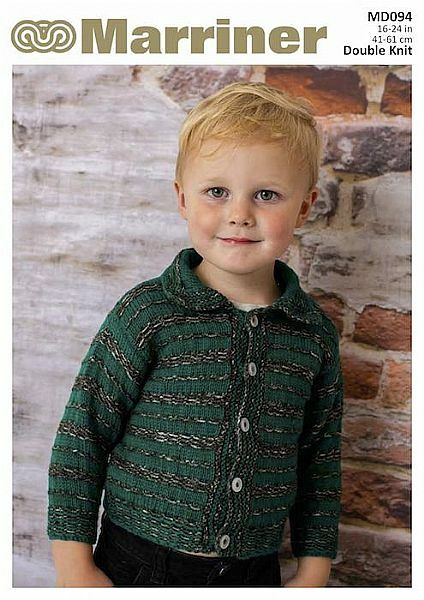 A boy's contrast stripe cardigan pattern in Double Knit. A sweet collared cardigan that can be knitted in any colour combinations to please any little boy. Hooks required 2 - 4 mm. 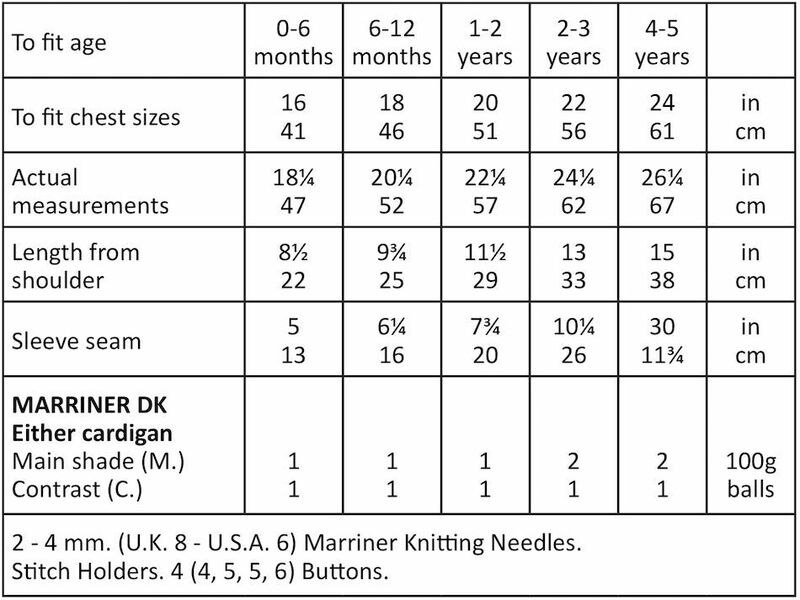 (U.K. 8 - U.S.A. 6) Knitting Needles. Stitch Holders. 4 (4, 5, 5, 6) Buttons.